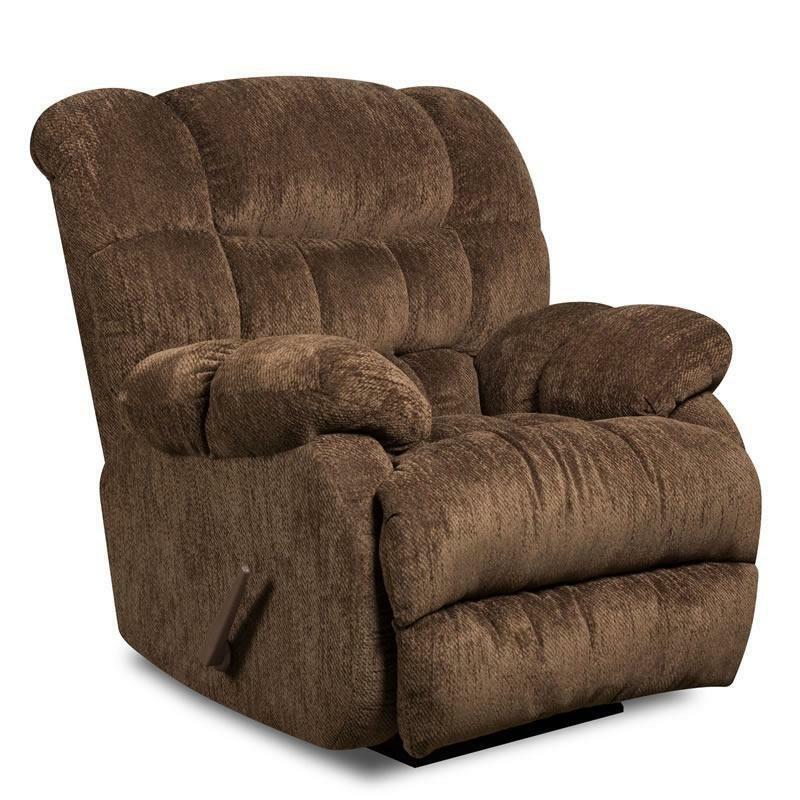 This rocking recliner is all about exuding an ambiance of casual comfort. Unlike straight-lined modern pieces, all this recliner needs to create a statement is soft cushioned padding - and that's just what it has. This reclining chair features a defined headrest that flows into a channeled back which offers support. A pad-over-chaise footrest ensures un-broken padding from head to toe. Pillow-topped arms complete the piece with an added element of comfort. Not in the mood to recline? No problem! This chair also has a built-in rocking mechanism.